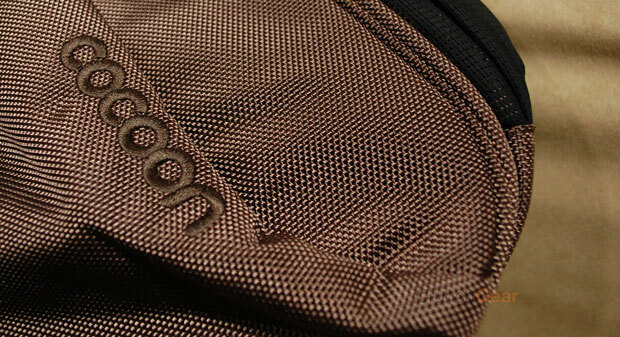 Short version: Just a simple backpack with clever styling and average material quality. I’d like the bag if it fit right. I wasn’t very impressed by the Cocoon Soho 17 but this one isn’t so bad. I’m still not sure if I would spend money on it, but at least it has some style and reassuring interior structure. The materials and build quality still seem sub-par, though. Still, the bag’s clean look is growing on me.I’m not sure what it is, but I kind of like the look of this bag. It’s sort of like a monolithic bag, with minimalist details and strong lines. I’d say it’s a win. The inside is just as nice. There’s plenty of storage in the two main compartments with one dedicated to notebook storage and the other one containing the standard assortment of small pockets. There’s even a dedicated pocket to hold Cocoon’s awesome Grid-It storage board. But as much as the styling and storage wins me over, the bag just doesn’t ride well on my back, which is actually more important than the other traits. It’s not comfortable when it’s empty or fully loaded. It has something to do with the strange location of the top-mounted handle. Instead of being attached directly to the bag, it’s bridging the two backpack straps and rubs against the back of my neck. Not good. Because of the strange backpack straps, you really should try out the bag before dropping down $100. It doesn’t fit me well, but because the styling and storage capacity are good enough, I can’t totally write-off the bag. Maybe it will fit you better. Check out the complete Bag Week Review Blitz: Back To School Edition coverage here.